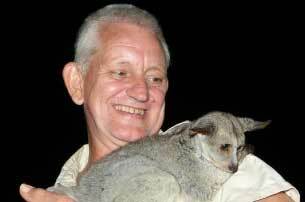 Steve Tolan is co-founder of Chipembele and is a non-executive Director. 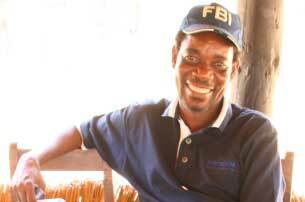 He is a Senior Honorary Wildlife Police Officer and is very active in patrolling the area and in protecting the wildlife and natural environment of South Luangwa. 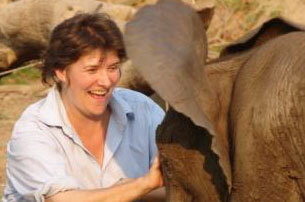 Christina, with orphaned elephant calf, Tafika, rescued by Chipembele and SLCS in 2009. Co-founder of Elephant Wood, a small Contemporary Design company utilising fallen hardwood timber to make turned and carved wooden bowls and other art pieces in South Luangwa. She is also joint Director with her husband Adrian Carr in Makolekole, a company that installs boreholes in the area. Deb (centre) with ZAWA Scout Baron, and Guide Sebastian. 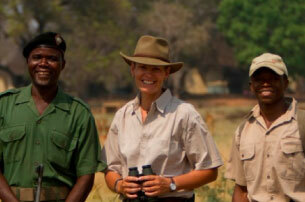 Independent professional Safari Guide, specialising in South Luangwa. 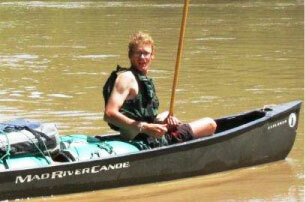 Adam on a Luangwa River canoe trip, 2012. Adam was born and raised in Zambia but emigrated in 2015 with his Australian wife to Melbourne, but maintains strong ties with Zambia through family and deep personal interest. Charles gave a speech on behalf of the community at the Chipembele Centre’s 10th anniversary celebrations in May 2011. Recently retired Head Teacher of Chiwawatala Basic School who encouraged us from ‘Day One’. Thandiwe and the Luangwa River and South Luangwa National Park in the background. 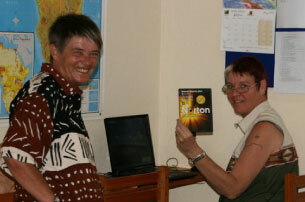 Kaye (left) and Jude in the Chipembele Computer Centre in 2011. Long time Chipembele supporters, who live in Australia. Kaye and Jude worked for us in 2011 coordinating our 10th Anniversary celebrations. (They hold one vote on the Board). Emma is the Creative Director for Chipembele. She lives in Adelaide, Australia and has volunteered for the organisation on numerous occasions. 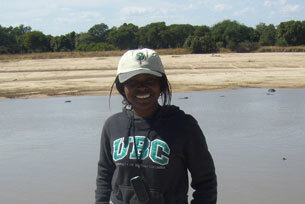 She was a key organiser of the Australia- Zambia student exchange in 2013/2014 and is again for the exchange in 2018/19. 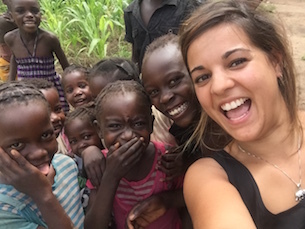 She has raised considerable sums for Chipembele over the years and has imaginatively redesigned the classroom at the Chipembele Centre and the Student Resource Room (now called the Habitat) at the Chipembele Offices. 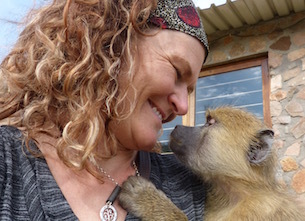 Ruth volunteered for Chipembele for 6 months in 2016/17 and loves helping people and caring for animals in equal measures. She is now running a hospitality business in Scotland with her husband. Chipembele Trust is a UK registered charity (number 1107698) which supports The Chipembele Wildlife Education Trust in Zambia for the advancement of the education of children and young people in the conservation and preservation of the environment and its wildlife. Chipembele Trust UK also supports the Chipembele Pupil Sponsorship Scheme, in Zambia, which enables orphaned and vulnerable children to attend school. We rely on the generosity of our donors and grants to keep our programmes running. Help us today!